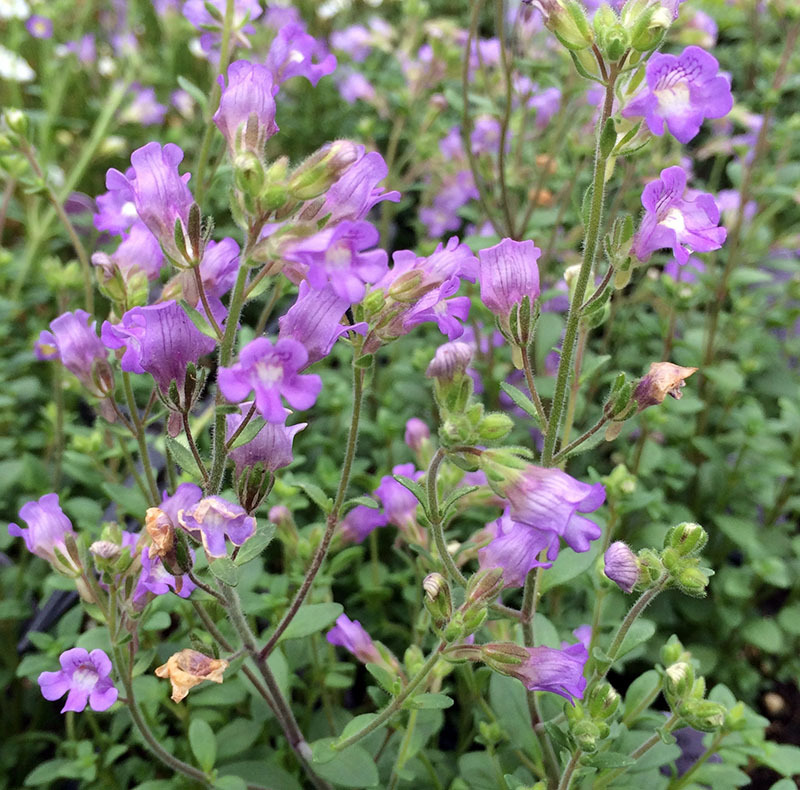 Small, branching stems rise above petite green leaves and are adorned with blue-lilac, snapdragon-like flowers. 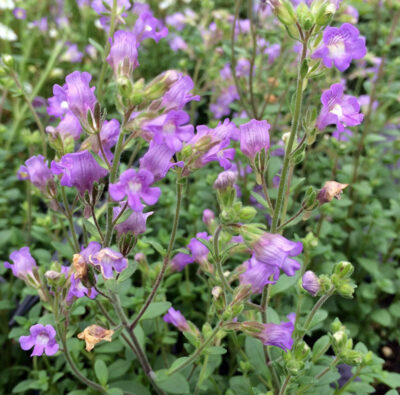 The perfect groundcover plant for edging pathways or borders, draping out of containers, and filling in a rock garden. Blooms in abundance from late spring to early fall. Will naturalize by self-seeding. Full-part sun. Drought tolerant. Well-drained soil. Height 8-10″. Spread 10-16″. Zones 5-8.